Lionel Fifield experienced many years of stress, fear, anxiety and chronic insomnia. Then at 30 he was warned that unless he found some answers he could not expect to live for much more than about another 10 years. Then came a range of severe illnesses which had him looking very deeply for what might bring him the relief he was looking for. When aged 34, with six others, Lionel launched the Relaxation Centre of Queensland. At 37 he left his profe ssional practice so that he could devote himself full-time to this work. This led to him presenting numerous courses throughout Australia and in several other countries. He believes that relaxation is the great forgotten art which, when understood, can bring the most remarkable changes in peoples lives. 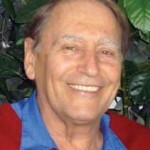 Lionel has been responsible for developing the Relaxation Centre’s wide-ranging programme for the past 40 years. People often ask Lionel how he has retained his enthusiasm for this work for so many years. He often talks about some of the changes, and almost miracles, he has seen happen for people when they’ve grasped the possibilities available to them and taken responsibility for their lives. Lionel presents a range of courses at the Centre and often varies his presentations in each Programme: Lionel really enjoys jointly presenting several of his sessions. 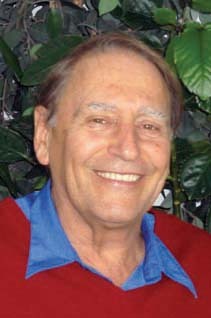 To see Lionel’s presentations click https://www.relaxationcentreqld.org/events/ and Search Lionel Fifield. When I arrived to participate in Managing Stress/Anxiety I was stressed and anxious. I realised that I have been analysing what is “wrong” with me and “thinking” I am coming up with answers. I am leaving the course today feeling not only relaxed and at peace but I have the answer! Breathing, meditation and the power centre – Wow! I absolutely connect the dots – because I feel it (so different). So I am pleased now that I arrived so out of control and to leave feeling the difference. Thank you – Thank you – Thank you. I came here today to find out more on panic attacks. Thank you Lionel and Tom for what you have taught me today and I’ll practice the exercises and re-read notes. I have often wondered and now have more insights into what a panic attack is (Managing Stress/Anxiety). I am sure I will be able to sleep more quickly and soundly using some of the techniques learned tonight, particularly those controlling the wandering mind (Sleeping, Sleeping). A very helpful course and I look forward to trying out what I’ve learnt today. Lionel is a great facilitator, very easy to listen to and I also enjoyed listening to Tom (Managing Stress/Anxiety). I enjoyed the exercises (in Managing Stress/Anxiety) and am eager to try these out in my day-to-day life. I also like the reminder that our body is alive, and how beautifully created these bodies of ours are. The mindfulness techniques to live in the moment – GOOD! I attended Lionel’s sleeping course and the breathing exercise was helpful, plus the foot touch technique was amazing. I felt the session was beneficial in explaining why my sleeping pattern is not good and I feel more positive about improving my sleep.